Have I told you before that I have made it my mission to visit every zoo and aquarium within a 2 hour radius? Well if I haven’t, consider that my official declaration. I think I might not be too far off from accomplishing that goal actually! Plumpton Park Zoo has been crossed off the list and we had a great time doing it. If 3 Palms Zoo and the Salisbury Zoo had a baby, it would be Plumpton Park Zoo. It’s a medium sized, partial petting zoo with both large and small animals for your viewing pleasure. Tigers, camels, a giraffe, bears, wolves and more fill out your “typical” zoo animal category. Goats, alpacas, rabbits, donkeys and sheep encompass the petting zoo portion with a lot of animals in between the two. You will have the option of purchasing a cup of feed at the ticket counter that can be given to a wide range of species as you meander along the stroller friendly pathways. Peacocks can be found lounging throughout the zoo and you may even be lucky enough to see one of the males putting on a show for the ladies while they blatantly ignore him. Aside from the obvious fun of visiting and feeding animals, Plumpton Park Zoo offers a great shaded picnic area complete with small swing sets and a built in slide. Bring your own lunch as food isn’t available for purchase on site. 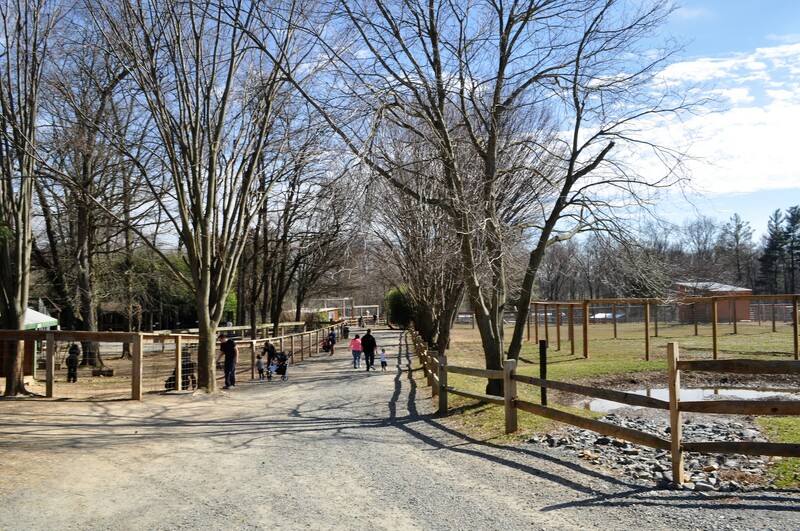 Bathrooms are located inside the zoo so make sure everyone washes the goat slobber off their hands before exiting and enjoy outdoor play area before loading up to go home.